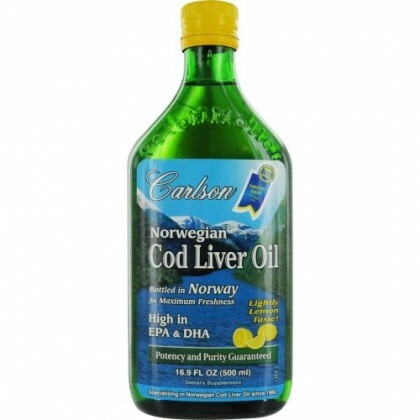 Carlson Cod Liver Oil comes from the livers of fresh cod fish found in the arctic ocean waters of Norway. It's an excellent source of omega-3 fatty acids DHA and EPA. The oil is separated from the liver tissues without the use of chemicals. To ensure the freshness of the oil, the air inside the bottle is replaced with nitrogen and natural-source vitamin E is added.